There are a few pieces I add to my closet more than any other. Bags are certainly one of my points of weakness and it takes self-restraint to pass up a new style. But shoes are a close second. I rationalize this because I believe in the transformative power of a great pair of boots or heels. After all, I typically gravitate toward minimal outfit pairings like jeans, a T-shirt, and a blazer—so special shoes are what really pull it all together. Today, I’m bringing you the biggest summer shoe trends that I have my sights fixed on. Practical square-toe heels top my list as the perfect pair for everywhere from the office to date nights. Metallic gold shoes are another style I’m dangerously close to buying—they seem to be the unofficial shoes of French girls this summer. 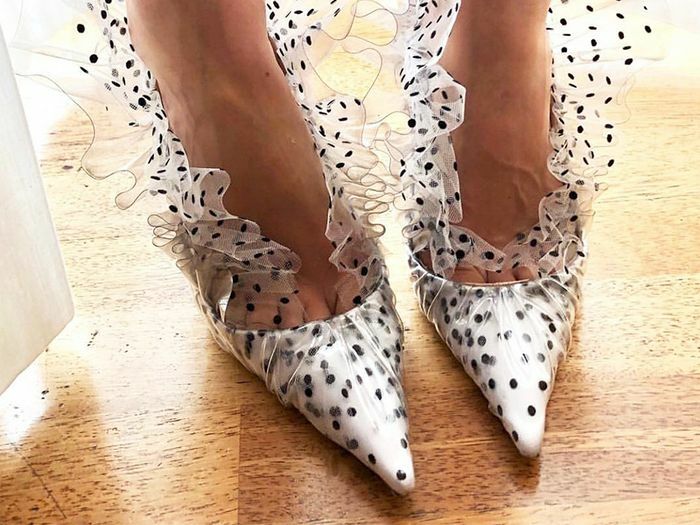 But also, ruffle heels. They are decidedly less practical, but they are the one style I truly can’t stop thinking about right now. Ahead I’m bringing you the nine shoe trends to add to your closet this summer. Available in sizes 7 to 11. Find out about the only five pairs of jeans I’m wearing right now.